As I already mentioned in a previous post I was happy to have regular school again and was looking forward to every day of classes. Two days after my mom had enrolled us at the Elementary School Am Baum (at The Tree) I woke up with a sore throat. I was prone to suffer from severe allergies, especially in the spring during pollen season. My mother suggested that I stay home and she sent my brother off at the usual time. I did not want to miss school and pleaded with my mother to let me go until she relented. “Don’t lie to me!”, he shouted and without warning slapped me across the face. Never in my life before had I been physically punished by my parents or other adults For a moment I felt like frozen in time. I was so stunned and shocked I did not know what was happening to me. Eventually, like a sleepwalker I made it to my desk and sat there dazed until dismissal time. I felt humiliated by this unjust punishment and very sad. Until then I had idolized and adored teachers. In my mind they embodied the highest human qualities like wisdom, knowledge, fairness, justice and kindness. This undeserved slap in my face shattered that illusion. Only when I got home did I cry. It wasn’t the physical pain of the slap in my face that hurt but the emotional pain of undeserved punishment and the betrayal of trust by an abusive person in authority. Most people did not own phones when I grew up and so my mother talked to the teacher in person the next day, but the damage was done. To my relief the school year came to an end about two weeks later. Our new teacher in grade 5 quickly restored my faith and trust in teachers again. Although he was very strict as well, he never lost his temper or control. I loved his exciting lessons, his fairness and his warm smile and sense of humor. 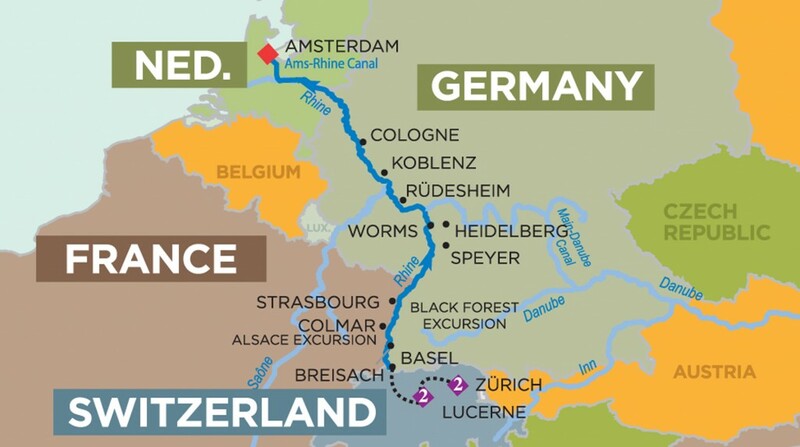 This teacher decided to take us on a field trip to meet Vater Rhein or Father Rhine as the longest and mightiest German river is fondly called. 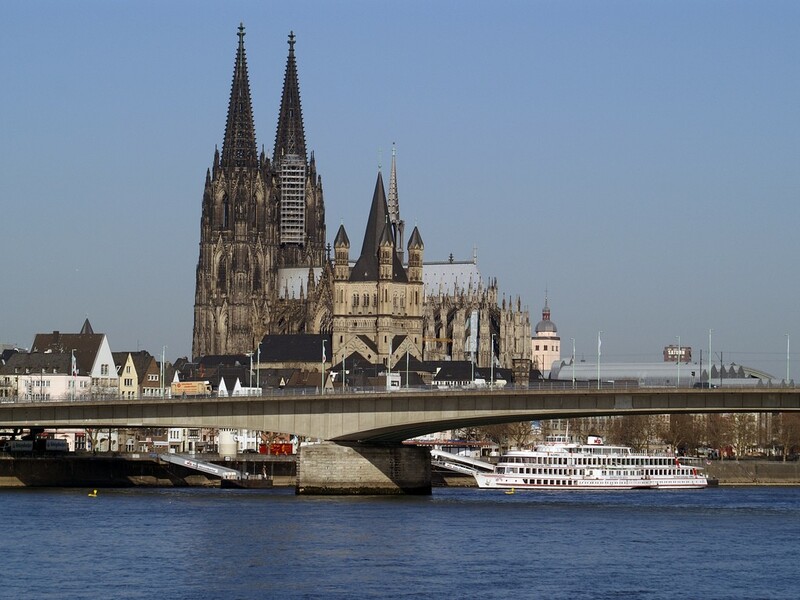 On a beautiful sunny spring day we went by train to Cologne. 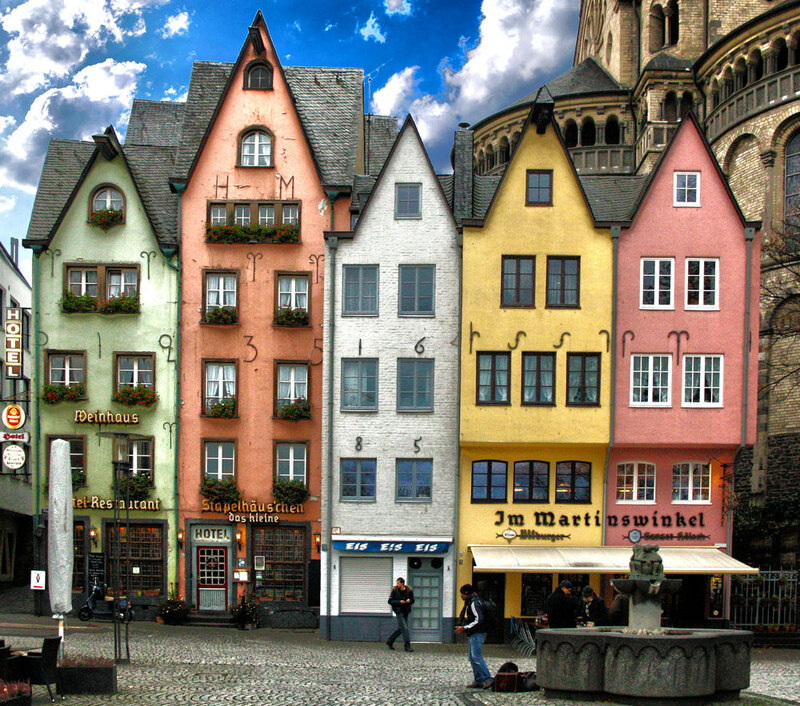 Cologne is the fourth largest city of Germany situated at the Rhine river. We visited the awe inspiring cathedral which towers majestically at the river shore. We went down to the banks and immersed our hands into the water to greet Father Rhine. He was starting to get polluted. 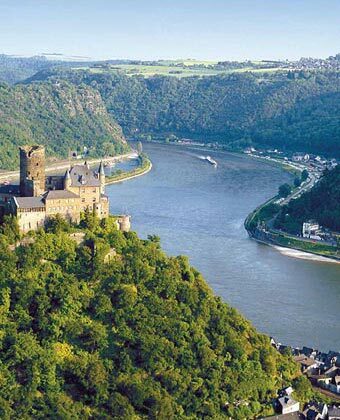 Twenty years later when visiting the Rhine river again my friends prevented me from putting my hands in the water because of the dangerous levels of pollution. Now Father Rhine is clean and safe again. 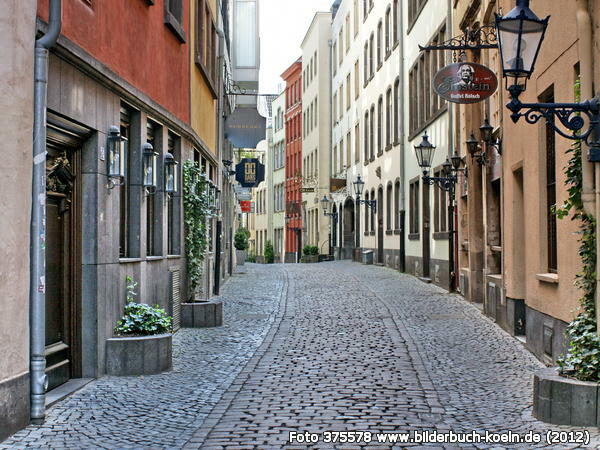 Towards the end of our excursion we walked through the Altstadt or the picturesque historic part of the city. We did window shopping and were allowed to buy some small souvenirs in the romantic boutiques. I remember the fun we had reading the ornate and artistically designed shop and pub signs hanging on beautifully crafted cast iron brackets. We laughed at the often funny and clever names. 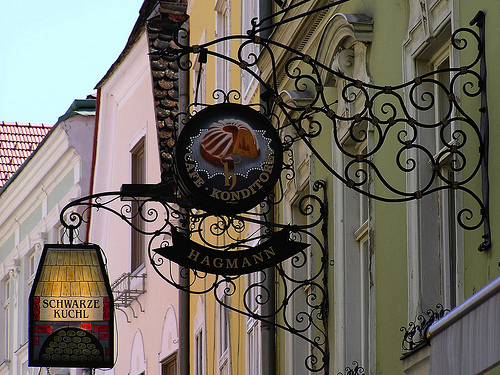 A butcher shop was called The Jolly Fat Sow, A wine pub was named The Bottomless Barrel. In the Busy Bee Bakery we bought some honey sweetened pastries. Back at school we had to write about our excursion. Our teacher told us that the best report would be published in our class journal. We all had to read out what we had written and then we voted which one we liked best. I was the proud and happy winner because I described in detail all the humorous signs and other fun impressions of our exciting trip.